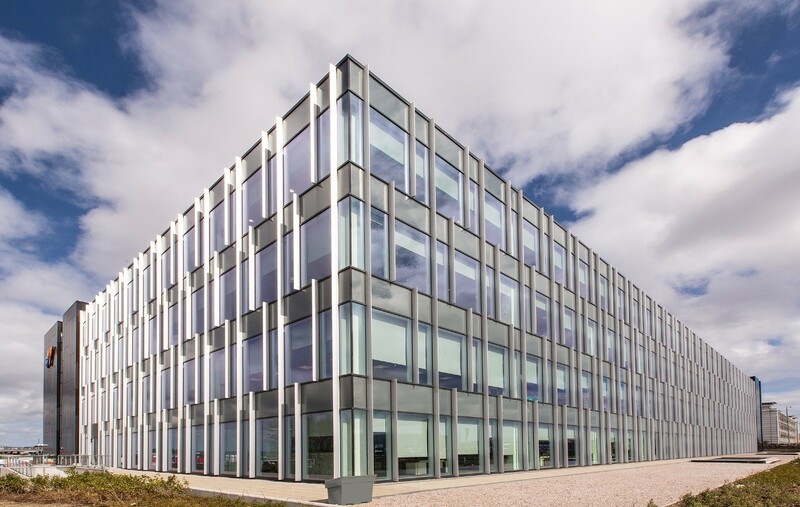 An Aberdeen office park has welcomed its latest addition in the form of a 215,000sq/ft grade A pavilion designed by Michael Laird Architects on behalf of HFD Property Group. 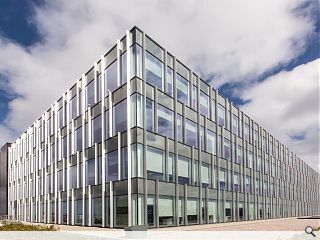 CityPark1 occupies an elevated spot in the Altens business park and has been awarded a BREEAM ‘Very good’ and EPC ‘A’ rating and is now occupied by Wood Group. MLA associate director Stephen Brewer said: "All of the facades have Kawneer stick curtain walling with front-sealed glazing and low-iron glass specified for the main entrance. “The curtain walling plays a vital role in the energy performance and design of the building. Sustainable sourcing of materials and a knowledge of recycled content of the materials were a key part in obtaining the BREEAM rating. "The Kawneer products achieved the required aesthetic and by the use of aerofoil projecting fins set out in an apparently random manner, the large elevations were able to be given a more human scale." The four storey build took 18 months to complete.